Building your email list seems to be everyone’s focus these days. 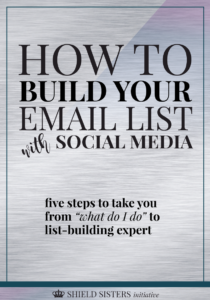 Whether it’s content upgrades, Facebook ads, or giant Pinterest images looming on your screen, it seems that everyone is on the bandwagon and yet… everyone is missing the BEST and EASIEST and CHEAPEST way to build your email list. You enjoy hanging out on Twitter, right? (Related: How I Skyrocketed My Social Media Stats in 24 Hours + How You Can Too!) Or how about those Facebook posts you love making and who DOESN’T love chilling on Pinterest, amirite?! If you’re hooked, keep reading! We’re gonna break this baby down! In the fast-moving world of social media, it’s easy to get swept away in the wind. This generation actually has LESS of an attention span than a goldfish! So you can imagine what kinds of catchy titles you need to snag someone’s attention for a few seconds. Guilty as charged: I can be scrolling through Twitter and if something doesn’t attract me for more than three seconds I move on. 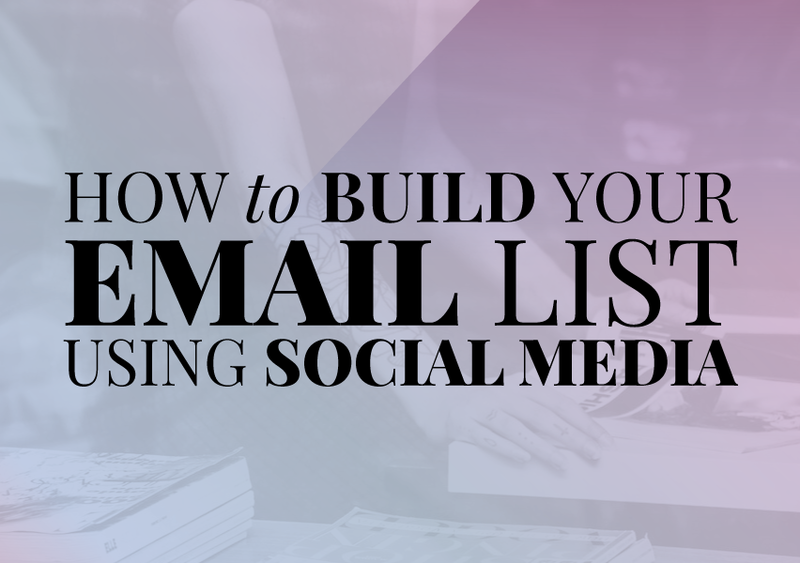 Social media is ideal for building your list because it doesn’t require a ton of commitment. Here is the only thing I hate about running a blog: people have to actually click over to it and it’s a time-consuming thing to read through my posts. While I love writing giant posts and providing lots of info, and there are lots of people who read through them completely, I understand that there are lots of people who just don’t have time. Social media is ideal for list-building because even if someone has a few seconds to spare on their cell phone mid-day at work, they can still see your email list prompt and perhaps become interested, leading them to sign up and a few seconds later, you have a new subscriber! As I mentioned, this generation is very wired and they tend to bounce from page to page to page, reading only the things that catch their eye in a big way. Attracting new subscribers isn’t hard – you just have to know who you’re aiming your posts at and what they might be interested in. Once you’ve discovered who you’re targeting, start creating social-media friendly images. The ideal dimensions for in-stream Twitter images are 440×220. For Facebook, it’s 400×400 or, if you’re like me, you like it to be horizontal, so you could use 600×250. For Instagram, it’s obviously square, so I use 800×800. If you don’t have Adobe, no worries! You can use Canva. In fact, Canva has all the social media image templates you could possibly need. Whether you create a smooth or exciting or calming or dynamic image is going to depend on your ideal readership, and the colors and fonts should match your existing branding. STEP ONE Create an image that reflects your branding. On the image, you should have some sort of exciting or action-inducing text, like “Get this FREE template by subscribing today!” or “100% off my next course for subscribing!” Or maybe you just want people to join your community, so you could phrase it like I do and ask a question, “Are you a part of the most supportive group of women EVER? Sign up today to be invited!” Words like “EXCLUSIVE” and “SECRET” and “FREE” are always actionable and exciting. STEP TWO Post that image along with a short link for them to sign up. Make sure you include a little bit of text about it, especially on Twitter, because sometimes the images don’t show up right away. 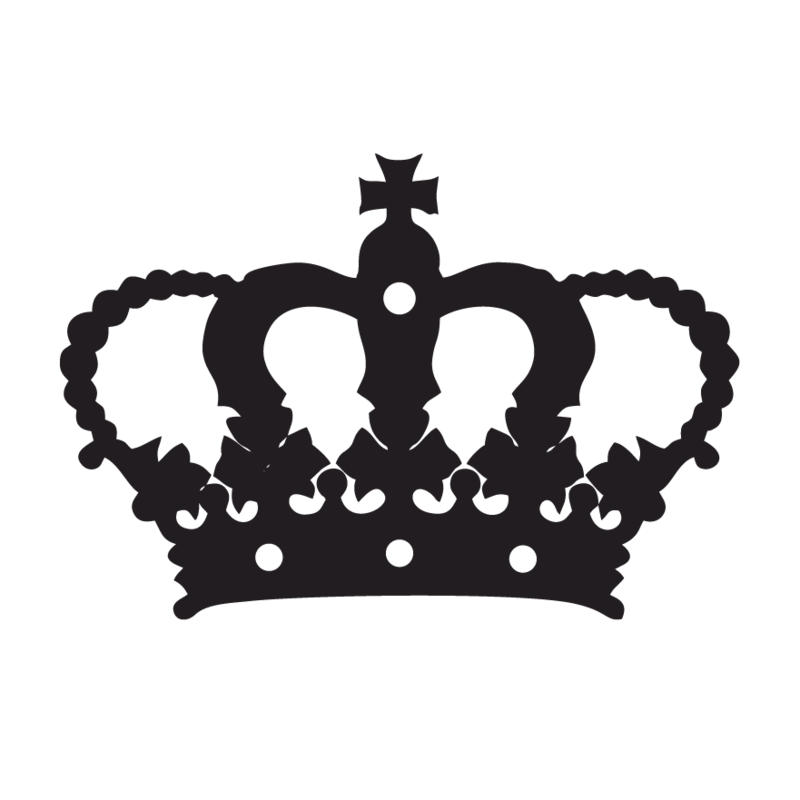 Example: “Become a part of the most exclusive female entrepreneur group ever! Request your invite here: bit.ly/exclusivegroup” It’s easy, it includes actionable language, and then once you’ve attached your image, it’s attractive! STEP THREE Schedule your posts to go out as often as that social media platform dictates. For Twitter, I schedule sign up links to go out tons. For Facebook, maybe once a day. For Instagram, I usually have a link sitting in my bio and I’ll post about it a couple times a week, but not too often, since it’s quite a turnoff to be seeing that all the time. I use Buffer, Tailwind, Boardbooster, and Onlypult. STEP FOUR Create a thank you page that redirects to a Tweet or general share page. Whether you’re using Leadpages or something else as your signup form, you can always include a share link or a redirect. For Mailchimp, I used to include a click to Tweet link in the email that delivered the freebie. I have to say – it wasn’t near as effective as using Leadpages’ redirect to an actual tweet page – but it’s still worth including. STEP FIVE Get active on your social media outlets. If nobody knows who you are, they don’t know your freebies exist, right? Try to hop on each social media outlet – Facebook, Pinterest, Twitter, Instagram, Google+ – whatever you use – to get active a few minutes a day. By everywhere, I mean in every bio section on every social media platform you have. Facebook, Twitter, Instagram, Google+, Pinterest, and even LinkedIn. These are all great places to pick up subscribers, and when you’re confident enough to plop your freebie signup in your bio, people are confident enough in your freebie to sign up! Exciting stuff! I really need to do this for our email sign up. Great tips!